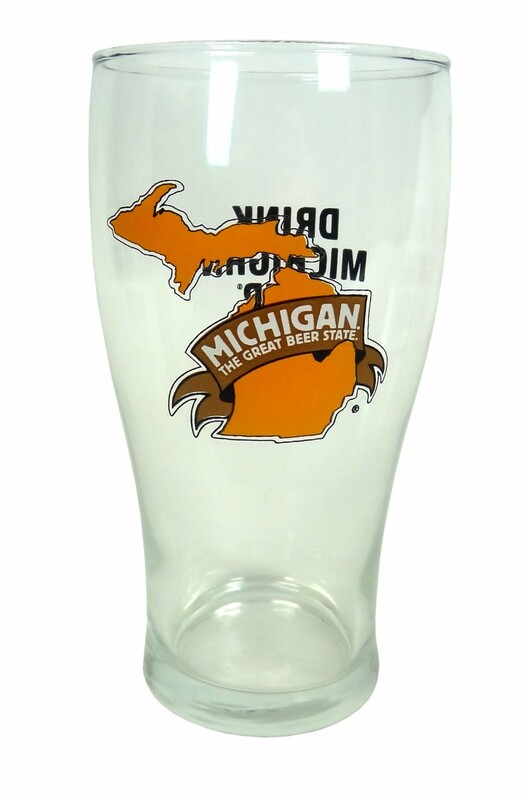 Click the button below to add the PINT GLASS, 16 OZ. to your wish list. Pint glass, 16 oz. (24/pack), Michigan Brewers Guild logo on one side and Drink Michigan Beer on the other side in black ink.